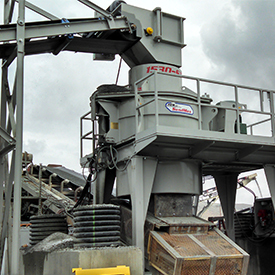 REMco’s Series 1530 VSI crusher is engineered for tight spaces making installation fast and easy, on your existing structure, portable chassis or REMco’s modular installation kit. Are you doing whatever it takes to keep everyone safe on the crushers at your aggregate operation? Find out now. Telsmith marketed its Iron Giant crusher at the 2018 AGG1 Aggregates Academy & Expo in Houston. Check out these tips to keep employees safe when working around crushing and hydraulic breaking equipment. 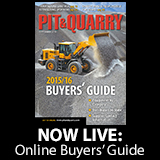 Learn why rock screens are essential to your rock crushing company. Williams’ new heavy-duty Feeder Breaker couples the company’s manganese Apron Pan Feeder with its Roll Crusher technology and replaceable mining tooth bits. Keestrack debuted the H6e cone crusher, which is an expansion of the company’s mobile cone crusher series. 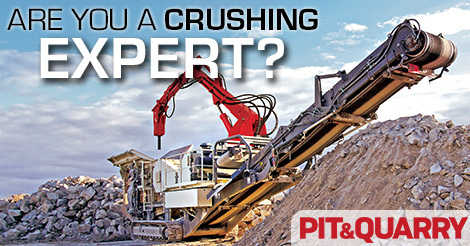 Quiz: Are you a crushing expert? Let’s see how much you know about the stages of crushing, as well as different types of crushers.